Yoga Nidra is a deeply powerful guided meditation practice, which incorporates breath, relaxation, a clear intention and mindfulness techniques. Yoga Nidra techniques are designed to still the mind and enter the deepest states of relaxation. Once the body is still and the mind calm, your body can enter a ‘Zero Stress Zone’. It is in this state of being between sleep and consciousness that you are most conducive to deep emotional, mental and physical healing. The ultimate purpose of Yoga Nidra is to awaken the infinite potential within you. Through regular practise you have the potential to transform your state of being and your life. The sequence of mindfulness techniques guide you through deeper brainwave states from alpha to theta to delta. This is deeper than traditional meditation techniques and enables you to release thoughts, beliefs, behaviours and energetic blocks that prevent you from living your life to the fullest. What can Yoga Nidra help with? 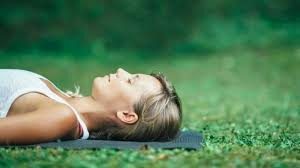 Yoga Nidra is particularly beneficial for people experiencing stress, anxiety, depression, sleeping difficulties, trauma, PTSD, fatigue, and a range of health conditions. Yoga Nidra is connecting to the essence of you. What can I expect in a Yoga Nidra session? 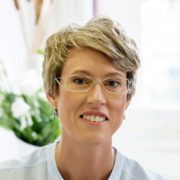 The Integrative Amrit Method (I AM) of Yoga Nidra is typically practised laying down, as you are guided through a powerful sequence of breath techniques, mindfulness, guided meditation and deep relaxation. Yoga Nidra is suitable for complete beginners and experienced meditators. There is no learning curve to this practice. It is suitable for all ages. You don’t need to know any postures or have any background with yoga or meditation at all. Generally a 45 minute session is recommended for adults, and 20 minutes for children. One-on-one sessions are available for adults and children to address specific issues, limiting beliefs and conditioning which impact your daily living and realising your innate potential. Group classes are held at St George’s Church 55 Lucknow St, Travancore. Note: Yoga Nidra is contraindicated for some mental health conditions. If you have any questions please contact Sally to find out whether medical clearance is required prior to starting.